Gelato may be the Italian word for ice cream, but it is distinctively different from the ordinary frozen desert. It is often said that gelato is “the way ice cream should taste.” For gelato’s long history, it has been most popular with Italians and Spaniards, and with the popularity of ice cream and custard on the rise in the United States, gelato is now being discovered as an alternative and an addition to a current line of business. There are some major characteristic differences with gelato when compared to American ice cream and custard. For starters, gelato has a low fat content of 1%-8% compared to ice cream. Gelato has a much higher density than ice cream, because less air is mixed into the product (20%-30%) compared to ice cream (60% to 100%). This results in a richer, creamier product that has a more intense flavor. Gelato does not require hardening like ice cream and can be made in small batches daily. With the same equipment, you can also prepare Italian sorbet, which is similar in style and production to standard gelato, but contains no dairy. 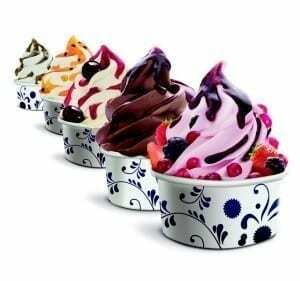 Sorbet is very low in fat and many times fat free and is normally made with fruit flavors. As with coffee, gelato making is an art. If you have questions regarding recipes, displays, or our wholesale gelato pricing, Contact Us. Our in house cafe always has a batch up for sampling! We offer a 5% discount on full cases of most gelato products. Ask and save on your next order! 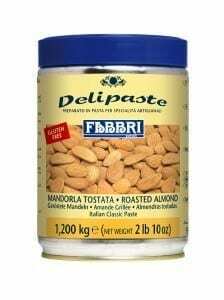 Your favorite nut based flavors for gelato, ice cream, pastries, and cakes! 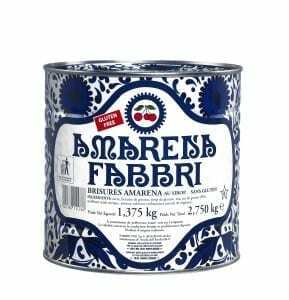 Natural pastes for gelato, ice creams, pastries, and cakes! Unrivaled for their natural fresh fruit flavors, they meet hygiene requirements by guaranteeing optimal results both in quantity and quality. They can be used with or without frozen fruit. 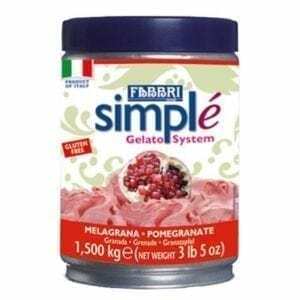 Balanced and complete products for rich, creamy gelato and sorbettos! Perfectly balanced mixtures of fruit concentrates with stabilizers, emulsifiers, and sugars. 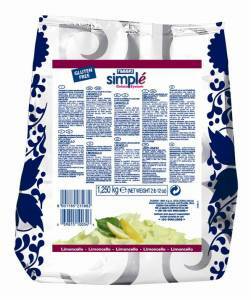 Perfect for the quick and simple preparation of delicious gelato and sorbetto! Powdered products for preparing mix base for cream-flavored gelato. They guarantee creamy gelato, good preservation in the tub and excellent structure. Flavoring powders for ice cream, gelato, and sorbetto. Just add milk or water! Fabbrisoff is an emulsifying gel used in both ice creams (gelato and sorbetto) and pastry. For water based fruit flavored ice creams, Fabbrisoff improves amalgamation of the ingredients, making the product creamier and easier to serve over a period of time. For ice cream which contains a certain amount of fat, such as hazelnut or chocolate, the emulsifying capacity of Fabbrisoff avoids excessive hardening of the product during conservation. You can add Fabbrisoff into any mixture prior to pouring it into the batch freezer or the batch freezer before pouring the mix in. To be used always in sorbetto, as well as in gelato. A range of complete and concentrated products for making delicious whipped and soft-ice gelato with yogurt! Nappage glaze for pastry applications. Always stays transparent and bright both above and below freezing and is easy to cut. 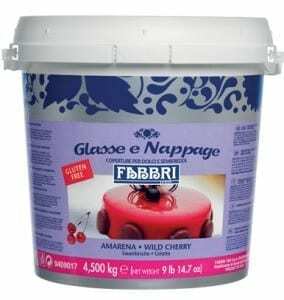 Also known as Variegati , Fabbri specialties to layer, marble swirl, or ripple in artisan gelato or sorbetto in the tub. Ready to use powder preparation for making gelato pops in just a few moments.